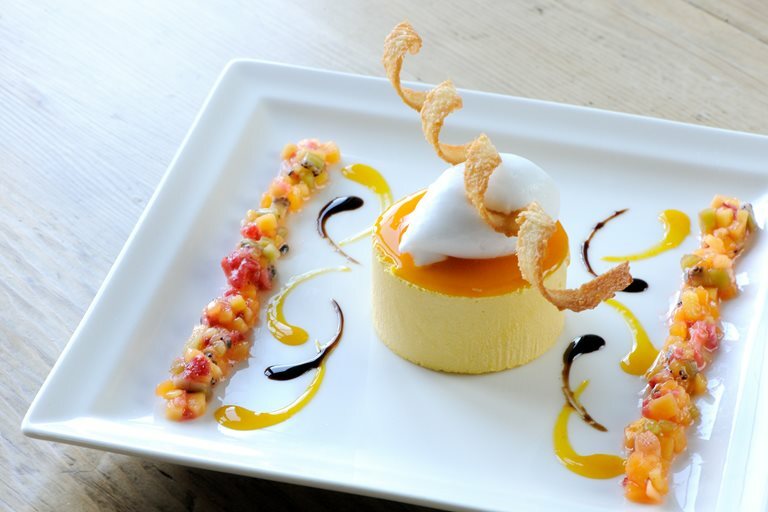 Mark Dodson captures the sunshine of the tropics in his gorgeous mango parfait recipe. The whipped, mousse-like texture of the parfait is both rich and indulgent, while the coconut sorbet makes a refreshing counterpoint. If you don't have an ice cream maker for the sorbet, you could equally serve this with whipped cream or a quality vanilla ice cream.